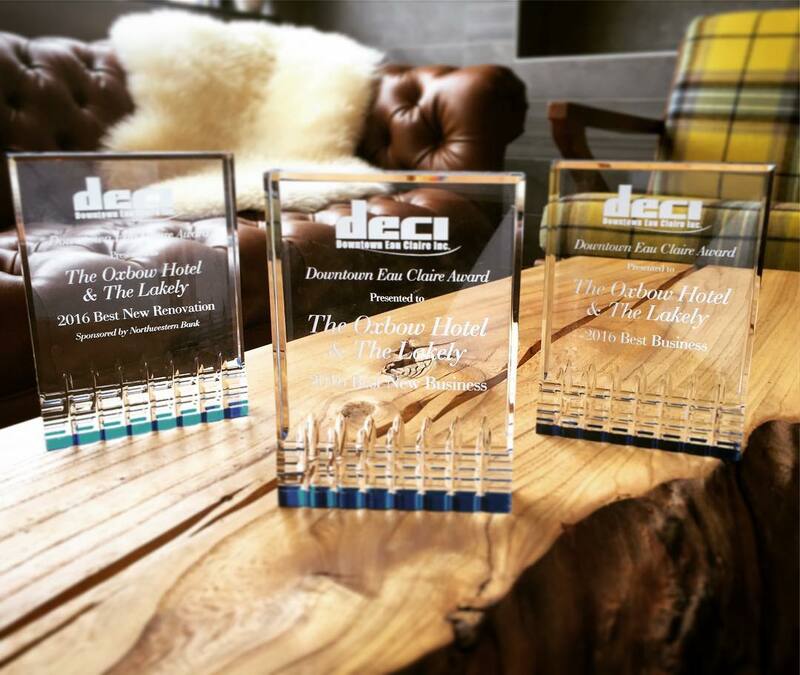 THE TRIO: Last night we were stunned to win awards for all three categories in which we were finalists during the annual @downtowneauclaire award show – Best New Renovation, Best New Business, and Best Business (overall). Some of our very good friends – other amazing projects and businesses – were also nominated in these categories, each so deserving in so many ways. If it was up to us we’d have spread the love around to @thelismoreec, @informalist, @diveec, @ecdcoffee, @justlocalfoodcoop, @volumeone, @thelocalstoreec, @blugoldradio, @latitude44yoga, @thedistrictcompany, and more for all the amazing work they put in every day. It’s going to take all of us to help this downtown succeed, so everyone keep up the great work! These awards are all thanks to hundreds of online votes from our guests, so thank you so much if you took the time to vote for us, we deeply appreciate your support for our little independent operation. We’re so excited to keep building on what we’ve created, and to move forward with you and our community, together. Here’s to an amazing 2017!